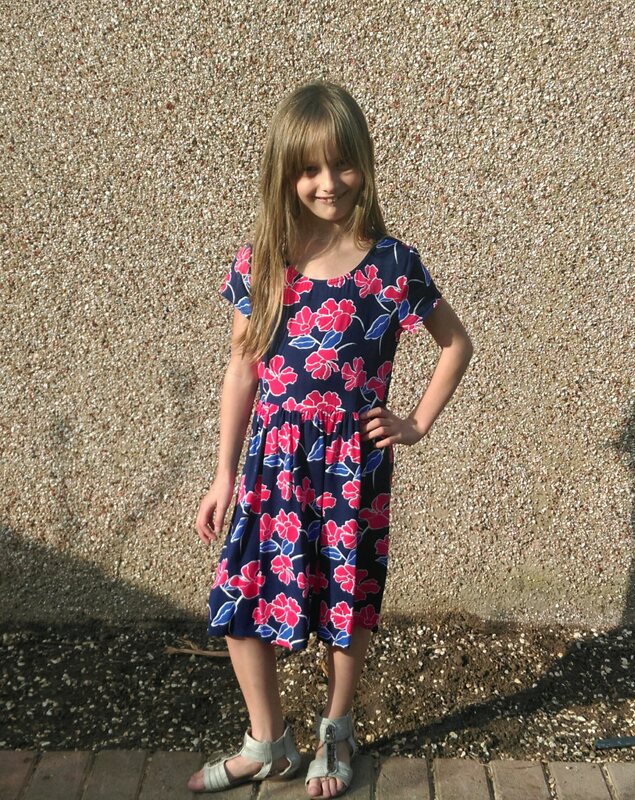 You’re in the shop, you see a pretty dress in the sale which just happens to be in your 8 year old daughter’s size. You buy it for her, because it’s such a bargain and you know she’ll love it. So what’s the first thing you do when you get home? Try it on of course! My husband feels it might be a little bit short on me, but I might be able to pull it off abroad, or with a pair of leggings perhaps? Admittedly it was a little bit tight in the bust region, but Bunny almost wet herself laughing seeing me in it. We won’t go into detail about my husband having to try and gradually peel it off me, as the dress had formed a second skin and I was a little bit… stuck in it. 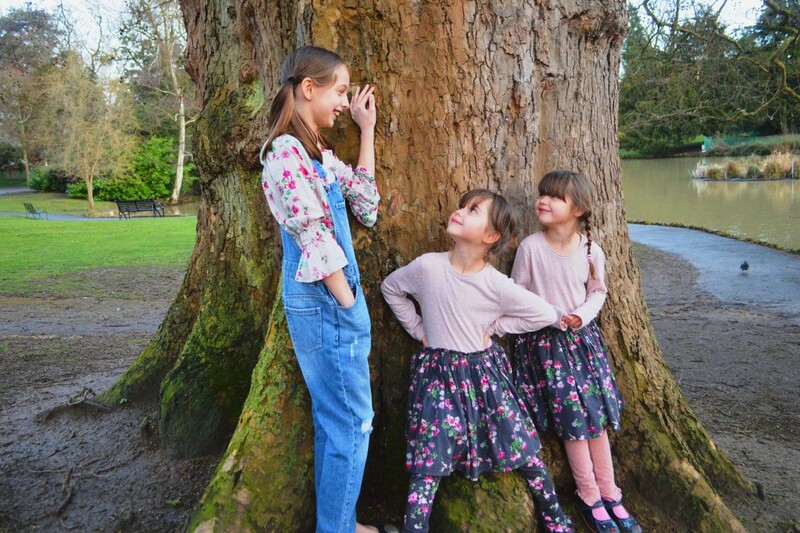 But the point is… it’s not long now, til my daughter will be at an age where I can share her clothes! It doesn’t seem that long ago that I was dressing up in my mums clothes or my older sister was passing me down the things she no longer wore. I used to love getting my sister’s hand-me-downs, but now I’m taller than her and have squarer shoulders, so I can’t wear her clothes anymore. Bunny loves dressing up in my clothes, but how fab will it be when I can borrow from her wardrobe? I think realistically there may be a couple more years to go, but one day… Tammy Girl here I come! Giving Children Freedom: How young is too young? 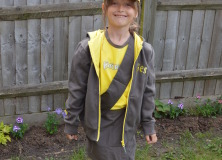 This entry was posted in Childhood, Family, Fashion, Humour, Life, Parenting, Shopping, Women and tagged 8 year old, fashion, mother-daughter relationship, motherhood, Parenting, wearing my daughters clothes. Bookmark the permalink. ← When a man has to share a bathroom with four girls! I don’t think Tammy Girl actually exists and neither does MK One as that use to be good for clothes *hides* my daughter is 7, but I doubt I could get away with wearing her clothes. haha! You looked good in it! 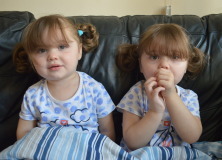 Popping by via the #PoCoLo link up, I’m a newbie blogger so still finding my feet! Gina Caro recently posted..Mad Blog Awards Finalist! Hannah Atkinson recently posted..Getting a puppy? 10 ways to find out if you’re ready! Love this! I’ve never tried on my daughter’s clothes, but I notice when she puts mine on that they’re not massive on her. My clothes are now too small for my 13yo son.